Although their October gig at Brooklyn Masonic Temple did not literally incinerate everyone in the borough, Swans have clearly whetted their thirst for aural onslaught. The hometown post-punks, who reunited in early 2010 after a 13-year hiatus, have been touring this fall in support of new album My Father Will Guide Me Up a Rope to the Sky, released in September on Young God Records. Now, they’ve added on six months’ worth of new international dates, reports Pitchfork. Swans will be bringing their visceral, indecorously loud live show to, among other locales: Belgium, Italy, Germany, New Zealand, Israel, Sweden, Norway, Estonia, and Slovenia. Oh, and Seattle. Can't forget Seattle. Full schedule here. 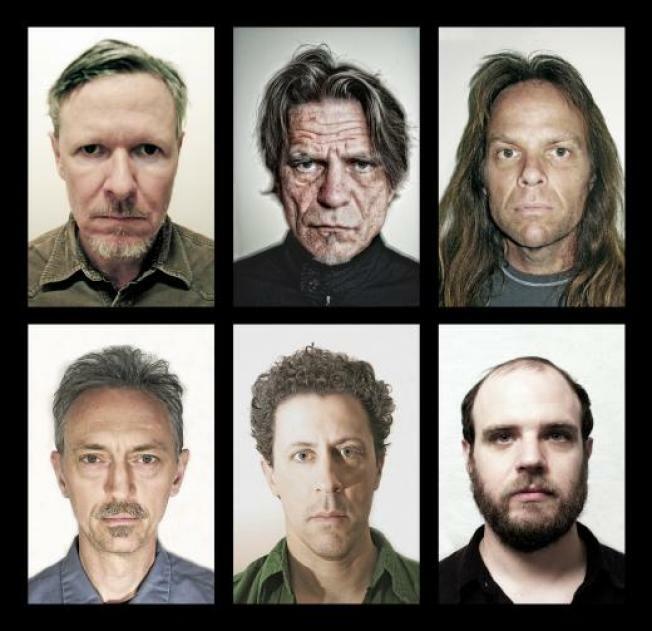 Swans were formed in the early-'80s New York no wave scene by singer/songwriter Michael Gira. Their debut, Filth (1983), remains one of the most influential post-punk albums of the era. If the fervent My Father Will Guide Me Up a Rope to the Sky is any indication, Swans have not lost their vigor - but better pack some Red Bull anyway, gents. You’ve got a long year ahead.